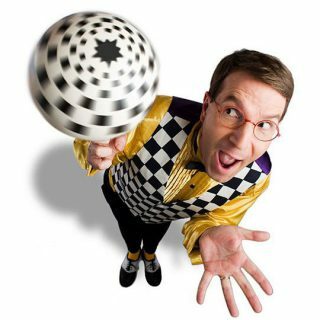 Since 1981 David Aiken has performed as ‘The Checkerboard Guy,’ a comic daredevil who’s manic energy, zany sense of humour and robust skill set have been his passport to the globe! His award-winning comedic variety show has been compared to Steve Martin, Pee Wee Herman and even a live-action version of The Simpsons. Bottom line–his infectious energy and crazy stunts will leave you rolling in the aisles!